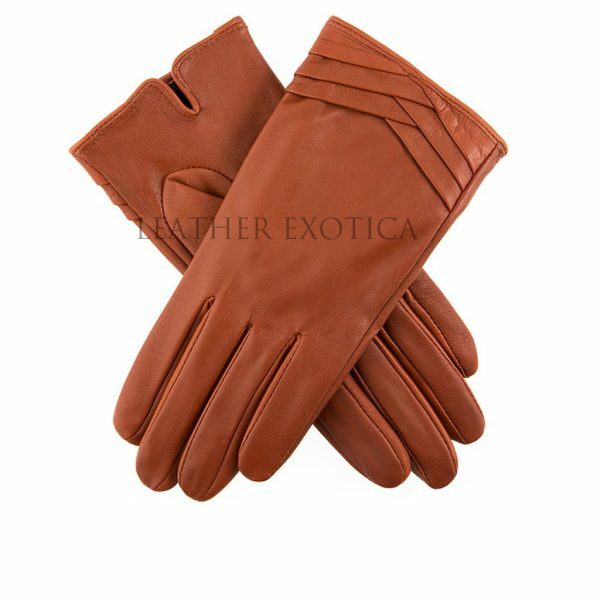 This type of leather gloves is uniquely crafted from real lambskin leather. It will provide you with protection from the cold and harsh. Its soft lining will give you comfort and warm feel when you wore it. Designer style this folded cuff women leather gloves has crises cross folded cuff which will make it trendier. You can carry these stylish gloves with different types of outfits. Such as you can wear it with a leather jacket, coat or other outfits. It’s come with various colors and sizes. Don’t waste your time grab it now!!! !